This makes me truly happy. 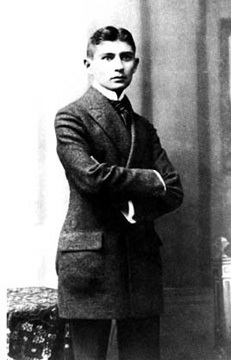 I never knew Franz Kafka used to be an attorney. According to Wikipedia, anyway. It does follow a certain logic. Who else would know what it's like to wake up one day feeling like an insect but an insurance attorney? When I was practicing law, I experienced this feeling more than a few times. At any rate, I love his work and it gives me hope that practicing law does not necessarily extinguish one's creative instincts forever.